if you canmeasure it, youcan improve it. Our time and budget cutting solutions will take attendee management to a new level. The event will be much easier to manage and more pleasant for attendees. Manage entrances in specific halls within the venue or connected events such as gala dinners, receptions, etc. The UHF RFID station tracks and records accreditation through the Ultra High Frequency (UHF). All the data that was acquired from application form is stored in the cloud. The UHF station controls the passages and stores data for final reports. UHF RFID stands for Ultra High Frequency and Radio Frequency Identification. This station records UHF accreditations in the cloud. A station can accredit more than 10 attendees per second. This way queues are virtually eliminated. Stations are strategically placed throughout the venue and manage all check-points from the main entrance to workshop halls. Stations alert the staff about the dynamics on the spot also. If attendees have permission to enter, the station lights up in green. Otherwise, the light goes red. Mobile app is an easy-to-use tracking tool and a reliable solutions for check-in and fast registration. You can choose between Android handheld terminal (barcode 1D, 2D, and NFC & UHF) or Mobile phone application (barcode 1D, 2D, and NFC). To ensure premium attendee management we can also provide conference badge ribbons, holsters and other materials that make registration flawless. Do you have a specific challenge and you want to deal with it the smart way? We will be happy to find the right solution for you. An online platform is a secure web page with a password protected profile and the login option for organizers and attendees. Each has its own level of permissions to manage the content and promote the event or just register and pay the registration fee online. A secure and reliable online platform has an elaborate backend for organizers to manage the registrations and the data necessary for the successful registration process before the event online and on the spot during the event. 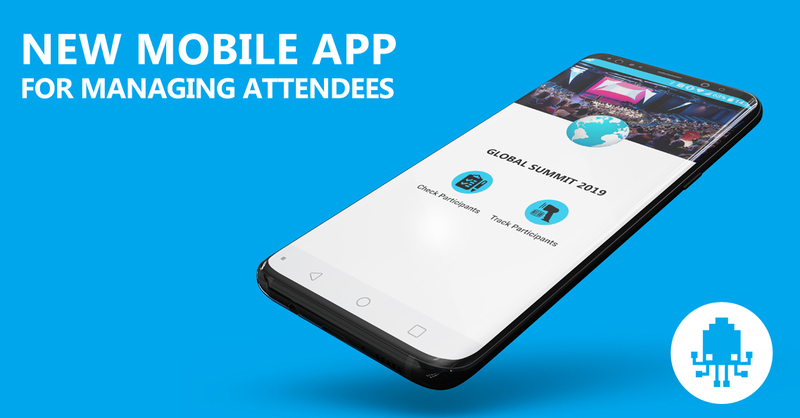 The platform connects with tracking tools and enables detailed insight into every attendee entering or exiting checkpoints. Measuring attendance at regulated conferences has never been so simple.